No, it's not a B, it's a J. But any good dinner begins with a good glass (or three) of wine. 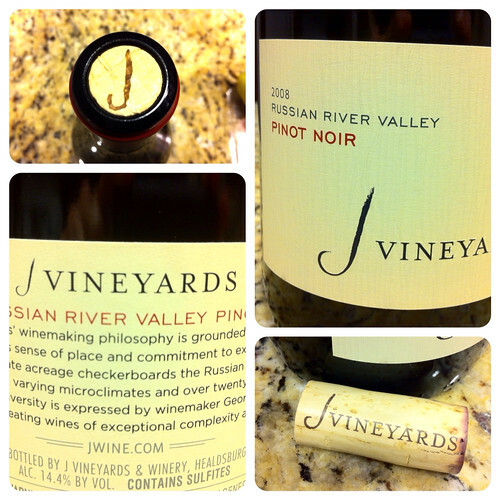 Tonight's guest star to the "Dinner with a B" is a 2008 Russian River Valley Pinot Noir from J Vineyards. I've had it a few times and it's good drinkin'. Back to dinner. As I was walking home tonight, I thought, "No meat tonight." I knew I had some Brussels sprouts at home and decided to try to remake a dish from Zero Zero. So, to the market I went. Little did I know the alphabet would be so restricted tonight. I bought Bartlett pears. I got bacon (well, pancetta, but it's basically the same thing). 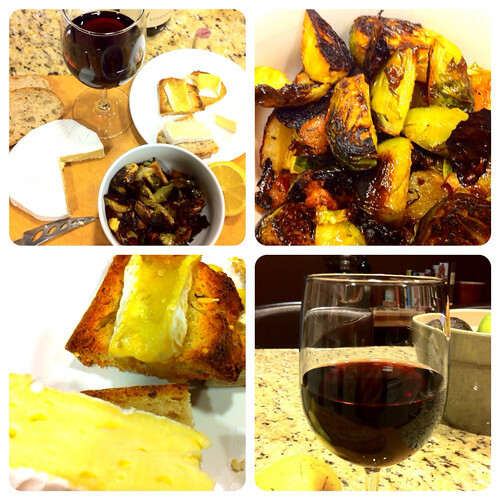 I grabbed a loaf of bread and paired it with some Brie. 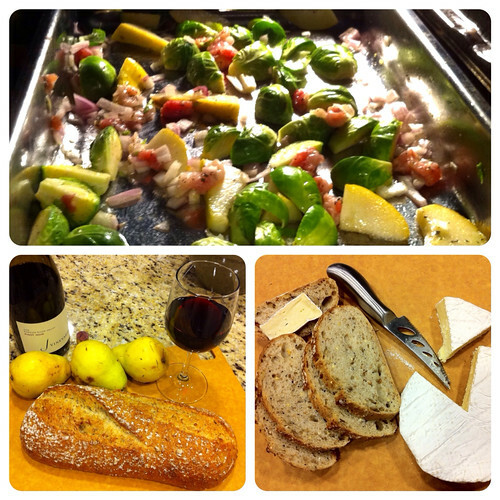 When added to the Brussels sprouts, I had unwittingly created a menu with five Bs: Brussels, Bartlett, bacon, bread, and Brie. Drooling is not good for the keyboard. Just use the hair dryer. There are worse fluids.